Of the still-ticking red Burgundies from the ‘20s, ‘30s and ‘40s that I’ve been lucky enough to taste during my life as a wine lover, a disproportionate number have come from the storied Clos de Vougeot. That’s partly due to simple arithmetic: the Clos, originally created in the 12th century by the Cistercian monks of the Abbaye de Citeaux, who had a knack for sniffing out the best sites for viticulture, is by far the largest grand cru in the Côte de Nuits, encompassing nearly 51 hectares, or about 125 acres, surrounded by about two miles of wall. 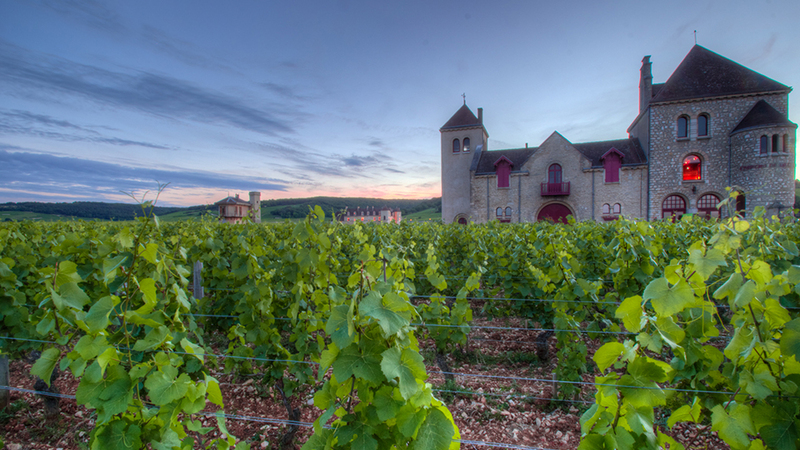 While it remained in the hands of the church until the French Revolution, the Clos de Vougeot is now divided into well over a hundred parcels with more than 80 owners—a true microcosm of Burgundy. Additional wines have always been offered by numerous négociants; in fact, these merchant firms, some of them now extinct, dominated production of Clos Vougeot for the first three-quarters of the 20th century. Clos de Vougeot has always been known, at least until the onset of global warming in the 1980s, for producing dense, powerful wines that were austere in their youth, with the tannic structure that demanded—and supported—extended aging. While this quality often made the wines tough to warm to in the early going, it obviously helps to explain why so many of these bottles enjoyed half-century-plus lifespans. 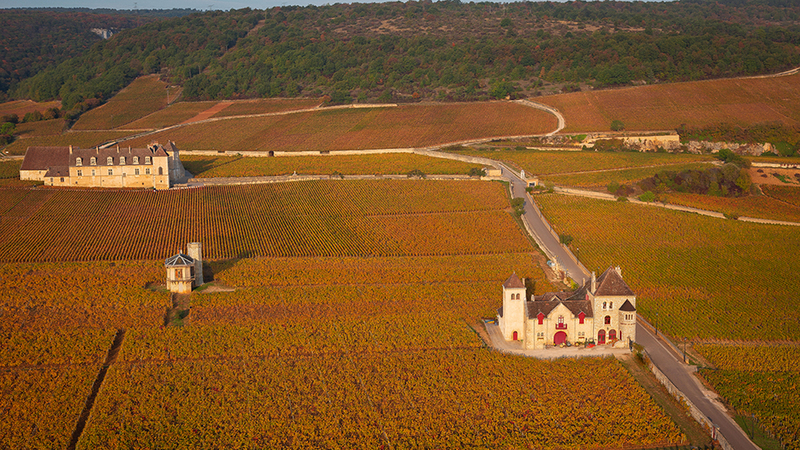 With its 5.48 hectares of vines, Château de la Tour is the largest landowner in Clos de Vougeot. (Incidentally, Clos de Vougeot is the name of the cru, while most of its wines are labeled Clos Vougeot or, as in the case of Château de la Tour, Clos-Vougeot.) Château de la Tour is also the only owner that produces their Clos Vougeot within the actual walls of the Clos (including the château and grounds, Château de la Tour actually owns six hectares of surface). It has been in the hands of the Labet family and their ancestors since 1889, making it one of the oldest ownerships in the Clos. The château itself, which dates back to 1890, is the “other” edifice in the Clos, situated along the northern wall of the Clos, roughly in the middle of the slope. It enjoys a striking view of the considerably larger Château de Clos Vougeot, the famous monastic cellar built in the 12th and 16th centuries in the slightly higher northwest corner of Clos de Vougeot that is now the headquarters of the Confrérie des Chevaliers du Tastevin. The main holding of the Château de la Tour is a large parcel that extends south from the chateau and then opens out to the west (toward the top of the Clos) and east (toward the Route Nationale at the bottom) in the center of the Clos (think of a T, or two contiguous rectangles). 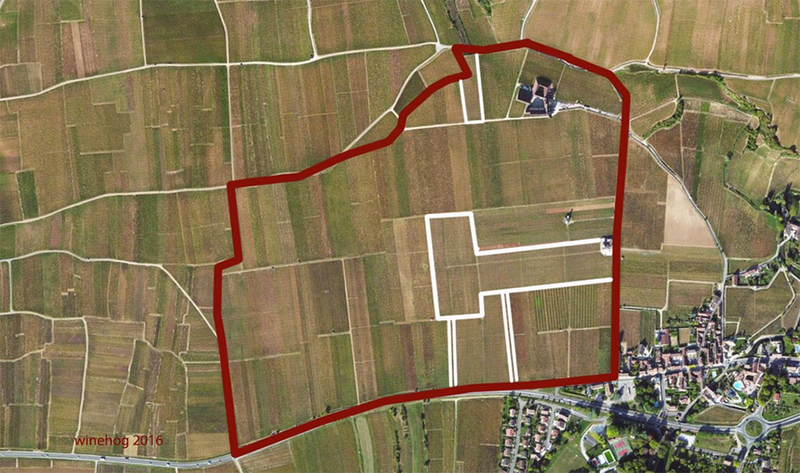 The estate also owns a prime parcel called Treize Ouvrées at the top of the Clos, just to the south of the Château de Clos Vougeot and close to Grands-Echézeaux, as well as two skinny strips of land (one just five vine rows wide and the other six) on either side of the Domaine Jean Grivot parcel at the bottom of the cru, on heavier soil extending up from the Route Nationale. The sole owner of the Clos de Vougeot from 1815 to 1889 was Jules Ouvrard, who was also the owner of Romanée-Conti from 1819 through 1869. (Ouvrard was the fourth owner of the Clos de Vougeot in the barely quarter-century since the outset of the French Revolution; the first owner actually lost the property after defaulting on the payment soon after winning the auction for it.) The monopole was broken up in 1889 (Ouvrard had died in 1860, but the property remained in his family), and Alphonse Beaudet, whose Beaune-based négociant firm Maison Beaudet Frères had been a major purchaser of Clos de Vougeot bulk wine, snapped up significant acreage from one of the Ouvrard family’s six original buyers. As Beaudet lost the right to use the original chateau to bottle his wine, he constructed his own smaller facility in 1890 so that he could still claim to make chateau-bottled Clos Vougeot. Alphonse’s son Charles, born in 1875, then sold the property to Jean Morin of Nuits-Saint-Georges in 1921 after having lost a lung to poison gas during World War I. In 1925, Charles’s daughter Madeleine married Jean Morin—in other words, the daughter of the previous owner married the son of the new owner and thus the holding in Clos de Vougeot never left the family. Jean Morin then had two daughters who married into the Labet (in 1951) and Déchelette families. At the time, Pierre Labet had his own small négociant company, distillery and vineyard in Beaune, selling his wines under the name of Maire et Fils. He eventually established Domaine Pierre Labet in 1978 from vineyards carved out of the négociant house. 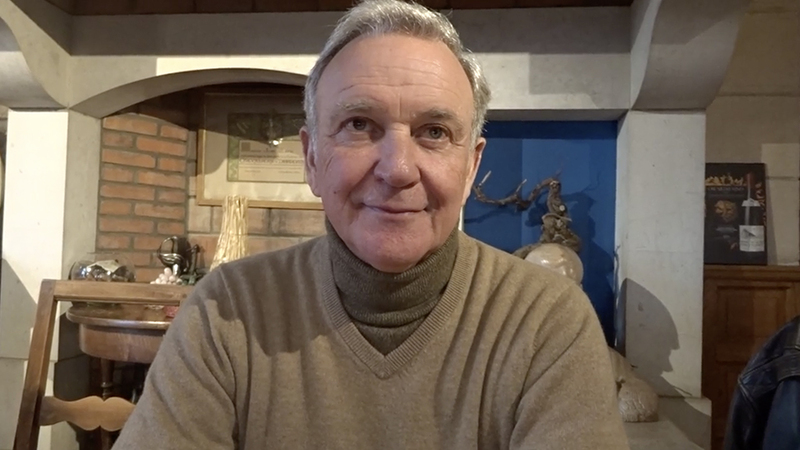 Pierre Labet’s son François took over direction of both Château de la Tour and the family estate in 1984. He was actually the first member of his family—which dates back at least 500 years in Nuits-Saint-Georges—to direct viticulture and winemaking in the Clos de Vougeot, as formerly the property was always run by resident managers. Labet began vinifying with whole clusters in 1987, the same year he began working with the controversial Lebanese-born enologist and soil chemist Guy Accad. When I asked him how vendange entier changed his wines, he replied, “We went from 1 to 100; it was a revolution,” adding that his goal had always been to reproduce the old Burgundies he had tasted from before World War II, most of which had been made with whole clusters. Accad’s favored techniques also included such measures as extended pre-fermentation cold maceration (up to two weeks or even longer) using sulfur dioxide and long, cool (in some cases, very cold) fermentations (in open-top concrete tanks at Château de la Tour). When Labet moved on from Accad after 1991, he went essentially to 100% vendange entier but shortened the duration of his maceration à froid, using temperature control to chill the must—he purchased his first heat exchanger for his concrete tanks in 1984—rather than sulfites to forestall the onset of fermentation. Today the cold soak lasts between seven and ten days for the early-arriving fruit, as the concrete vats tend to be around 10 degrees C., but goes more quickly toward the end, by which point the cuverie is teaming with yeasts. (Labet works entirely with indigenous yeasts and was one of the first owners in Clos de Vougeot to farm his vineyards organically, beginning in 1992.) Labet also became more flexible about fermentation temperatures, allowing them to rise to 29 or 30 degrees C., compared to the 26 or 27 degrees during the Accad years. Labet was quick to admit that in the early days “we carried out a very strict North Korea-style vinification here,” adding that “we only really started to loosen up in 1995 or 1996.” Today, while he continues to work entirely with un-destemmed fruit, he often fills the tanks with multiple layers of whole clusters and crushed clusters. While Labet selects his harvest date by tasting the fruit and analyzing the juice, he is normally one of the later pickers in Clos de Vougeot. Labet has always avoided post-fermentation maceration for fear of getting harsher stem tannins. And in more recent years, he has exerted a lighter hand with extraction during vinification “due to riper fruit these days.” Many Burgundy insiders, including Labet, believe that Clos de Vougeot has particularly benefited from climate change, which has enabled vineyard owners here to get their grape skins fully ripe in most vintages and to make dense wines with less early herbal character and muscularity and more refined tannins. After battling rot in 2007 and 2008, Labet changed his pruning strategy, removing every other bud to increase aeration. As he leaves only five or six bunches per vine, green pruning is rarely necessary. “And when Nature is generous, we don’t spit on it,” he added. Still, yields have been dramatically low more often than not since 2010, as vines in Clos de Vougeot have suffered from frost, hail, difficult flowering conditions or extreme heat. A roughly one-hectare parcel of vines planted in 1910 in the center of the Clos (the southernmost portion of Château de la Tour’s largest holding) has been the source of the estate’s Vieilles Vignes bottling since its first vintage in 1986. The soil here is relatively deep, with about 90 centimeters of topsoil overlying a substratum consisting of salmon-pink continental sedimentary deposits from the Oligocene era, between 23 and 34 million years ago. These deposits in turn were the result of the accumulation through erosion of calcareous and marly sediments from the much older Jurassic age. The 2010 release of this special cuvée was called Vieilles Vignes de 100 Ans, celebrating the centennial year of these vines, and the 2011 through 2014 vintages were labeled Vieilles Vignes de Plus de 100 Ans. But beginning with the 2015 vintage, this special cuvée is now being made from 70+-year-old vines from multiple parcels, as François Labet initiated a plan to replant the old vines from 1910 over the next ten years; he also undertook a replanting project in his vineyard at the top of Clos after the 2016 harvest. So beginning with the ’15 release, the wine will once again simply be labeled as Vieilles Vignes. I should also note that in some of the best recent vintages, beginning with the 2010, Labet has offered a tiny quantity—two new barrels—of a third bottling of Clos-Vougeot labeled Vieilles Vignes Hommage à Jacques Morin, which he crafts from the fruit on the first shoot of each old vine: he says the shoots “get the sap first.” This wine, vinified in a small stainless steel vat, was made from the 1910 vines in 2010, 2012 and 2013, but beginning in 2015 will also come from the estate’s oldest vines in multiple parcels. While Labet typically ages his cuvée classique in about 50% new oak, the Vieilles Vignes gets 90% to 100%. Since 2010, Labet, who has for years bought and air-dried his own tight-grained oak staves, has had his barrels custom-made by star local cooper Stéphane Chassin, a practice he refers to as “oak couture.” Labet racks and sulfurs his wines just once, for the assemblage a few months before the bottling, which takes place on the late side, between the second March and July, without fining or filtration. The Vieilles Vignes bottling benefits from the added intensity, as well as subtlety, of the old vines, not to mention their consistently low yields. While it typically has more of everything than the cuvée classique, including depth, structure and potential longevity, it is also a more refined wine. In some vintages these elements can make the wine deceptively easy to taste in its early years in bottle. But it should be cellared for at least a decade, and can develop positively in bottle for 25 to 40 years or even longer. Labet has long maintained that Clos-Vougeot at its best combines “the supreme elegance of Musigny, the power of Grands-Echézeaux and the finesse of Echézeaux.” That’s a pretty good description of recent vintages of his Vieilles Vignes bottling. The château was in the middle of a huge construction project at the time of my December visit. The spot where I used to park my car in front of the chateau was a giant hole, which by this summer will be turned into a large underground facility for bottle storage, as Labet wants to be able to cellar larger quantities of his new vintages under ideal conditions. Incidentally, this five-meter-deep excavation was what allowed Labet to have a detailed analysis done of the geology of his largest parcel. Labet, who is currently serving as president of the Bureau Interprofessionnel des Vins de Bourgogne (BIVB), actually started the tasting with a brand-new wine: his recently bottled 2016 Vieilles Vignes. It is a stunningly refined, juicy, perfumed Burgundy, from a vintage in which Clos de Vougeot typically outperformed. While many outstanding vintages have been made here, even in difficult times prior to the arrival of Labet, the wines since the mid to late 1990s have been far more consistent in quality, and those from more recent vintages promise to be the best yet for this property, a testament to the many improvements that the dynamic, well-traveled Labet has made in the vineyards and in the cuverie—changes all aimed at bringing greater precision to the wines. At the vertical tasting, we had to go back to the 2001 bottling to find a vintage that I would consider to be fully mature and beyond the primary fruit stage. But then the 1999, now nearly 20 years old, still boasts amazing fruit retention and has the balance and structure to power through another couple of decades. I should also note that although I was never a fan of the Accad wines owing to their atypically dark Pinot Noir colors and weird-tending aromas, the latter at least partly due to extreme early reduction, I did not find any untoward aromas in the 1987, 1988 and 1990 vintages that were part of the tasting. While Labet told me that his “main problem with the Accad method was too much aromatic deviation due to too many sulfites,” time appears to have been kind to the examples I tasted. This article is the first in a series of vertical tastings I will be publishing over the coming year featuring some of my favorite red and white Burgundy bottlings. Just about all of these wines will be estate bottlings, although a few will come from larger producers who also make numerous wines from purchased fruit, must, or wine. The heartbreak of great Burgundy is that it’s rarely made in large enough quantities to satisfy worldwide demand, but although a few of my tastings will doubtless be of wines made in limited quantities, most will be of flagship wines that are less rare—and that Vinous readers may actually have in their cellars. I conducted seven such tastings (six red wines and one white) in December and plan to do another group—featuring at least as many whites as reds—this spring. 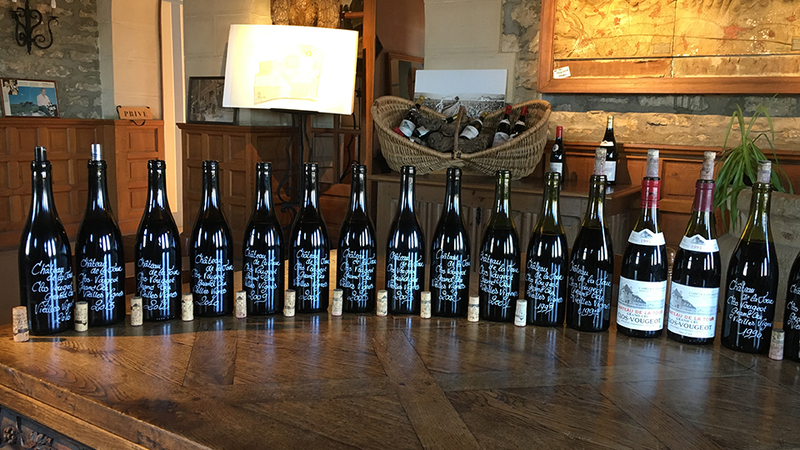 Read more about Stephen Tanzer's 2019 Burgundy verticals.